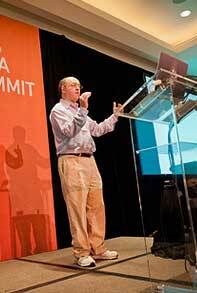 What is the Wolfram Data Summit? The Wolfram Data Summit is a unique, invitation-only gathering in Washington, DC, offering leaders of the world's great data repositories an opportunity to meet, share insights into their work, and discuss challenges and opportunities facing the worldwide data community. In order to defer some of the cost for the Summit, there is a standard registration fee of US $495 (government/education participants receive a reduced rate of $295) this year. We currently plan on a full day of talks and panel discussions, along with a dinner, on September 5, and additional sessions on September 6, ending in the late afternoon. We will gladly provide special needs accommodations under the ADA. If you require any special accommodations, you must provide them in a statement of need in writing at least 60 days prior to the Summit. Written statements can be sent to contact@wolframdatasummit.org. Any cancellation of these services should also be made in writing no later than 30 days prior to the Summit. What do I need to know if I'm a speaker? Speakers, panelists, and moderators will be contacted soon about A/V requirements and other details for their sessions. A PowerPoint template or a Mathematica notebook are available for speakers creating a slide show presentation. 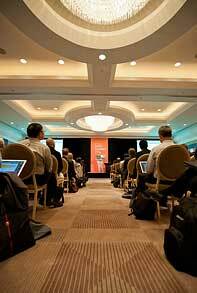 Opportunities to sponsor receptions, meals, and other events at the Wolfram Data Summit are still available. Interested parties should contact us at sponsorships@wolframdatasummit.org. Can I distribute materials about my organization? Participants who wish to make literature or promotional materials available to other attendees should contact us at contact@wolframdatasummit.org. Will an attendee list be made available? We will make information about all participating organizations and individuals available prior to the Wolfram Data Summit. Contact information will be shared only with other participants (with the explicit permission of each attendee). Why is Wolfram hosting this Summit? Wolfram Research has a long history of supporting public data and computing efforts. In creating Wolfram|Alpha, we have had occasion to interact with the leaders of a remarkably broad range of producers and consumers of data, and we have identified many common challenges that confront them. It is our hope that the Wolfram Data Summit will continue to foster a new level of collaboration and cooperation among members of the worldwide data community. Can I get presentations/are sessions recorded? At the moment, we do not plan to record talks at the Summit. Presenters may choose to make slides and other materials available for public viewing after the Summit. 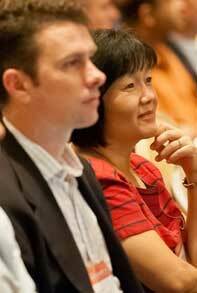 Presentations are available for talks from the 2010, 2011, and 2012 Data Summits.